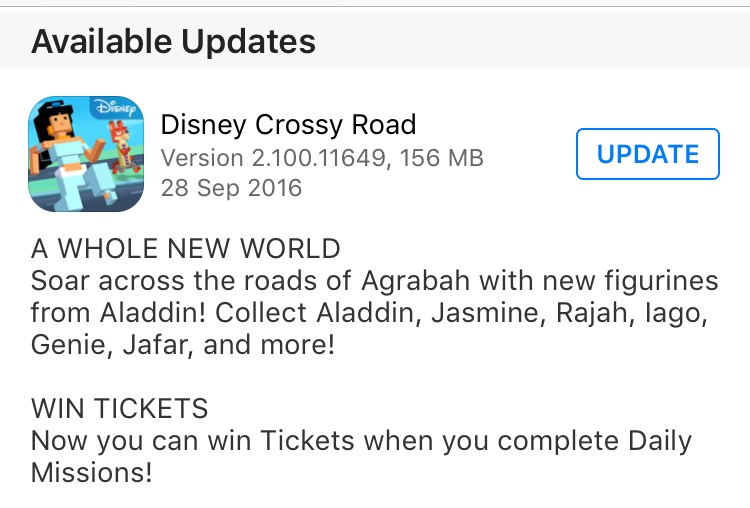 The new Disney Crossy Road Update with NEW characters from the Aladdin update has just been released. This update added 14 standard characters (among them 12 Aladdin) and 10 new Disney Crossy Road secret characters (among them 5 Aladdin secert characters). The total character count went up to 302! Click here for the complete Disney Crossy Road Unlock guide!